After spending the last 3 months experimenting with liquid soaps and shampoos, here is a preview of the new liquid body wash and shampoos that I am just finishing up. 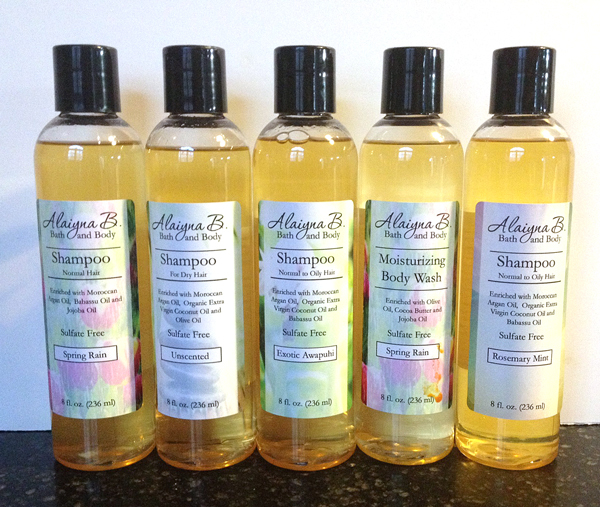 Three varieties of shampoo in various scents - Dry, Normal and Normal to Oily Formulas. All will be available soon on my website and in my Etsy Shop. Natural liquid shampoos and body wash.